On Sunday, 4 November 2012, Downbelow is hosting a Finathon – a 1km ‘fun swim’ – at our PADI 5 Star IDC Dive Centre in order to raise awareness of the plight of sharks and funds for Project AWARE who is fighting for legislation to give sharks a fighting chance. The funds donated to Project AWARE will help the foundation fight to stop shark finning, insist on full protections for critically endangered sharks at government level, negotiate stronger policies with the world’s decision makers to ensure a brighter future for all sharks. One scuba diver’s idea has inspired a worldwide movement: get swimming to end shark finning. Hosting first Finathon™ in Kota Kinabalu, and indeed the first in Asia, Downbelow Marine and Wildlife Adventures have accepted the challenge. This Sunday, 4 November, Downbelow will be raising awareness of shark finning, and funds for the Project AWARE Foundation who lobbies the world's governments for laws to make shark protection permanent. 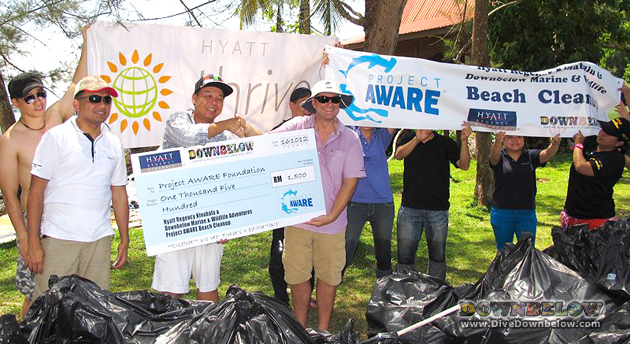 Project AWARE Foundation is a nonprofit organization dedicated to protecting our planet’s oceans. Kota Kinabalu’s Finathon™ is a 1km swimming race, which starts at the pier in front of Downbelow’s dive centre on Gaya island. It goes along House Reef to Turtle House reef and back. Participants will complete the course either as individuals, or as a relay team with each member completing a segment. “Together we are making a difference,” said Richard Swann, Downbelow’s MD and resident PADI Course Director. 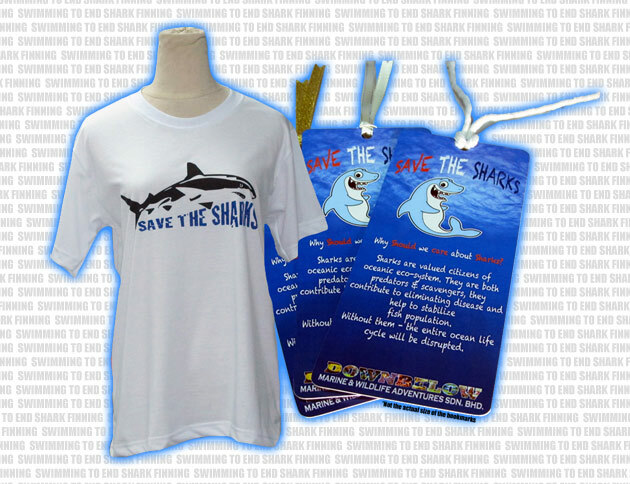 “Finning kills thousands of sharks every day,” said Alex Earl, Executive Director Project AWARE Foundation. “Shark fishing is largely unregulated in most of the world’s oceans,” he added. Together divers have a powerful voice to secure protection for endangered shark species worldwide and it’s this collective power that the Finathon™ is tapping into. So if you’re FINatical about sharks, join the race to protect them. With the clock ticking for vanishing shark species the time to act is now. For more information on how you can make a difference, visit http://DiveDownbelow.com/project-aware/ or call +60 88 488 997 for more information.